363 p., 17,4 x 24,4 cm. This anthology of texts represents the attempt to reconstruct the history of the Enlightenment. Since there is no standard work by one author on this history, the basic ideal and typical elements of such a work have been selected from the texts of various authors. In addition to well-known and often interpreted texts, the selection includes mainly little known texts which were snatched from unjustified obscurity. 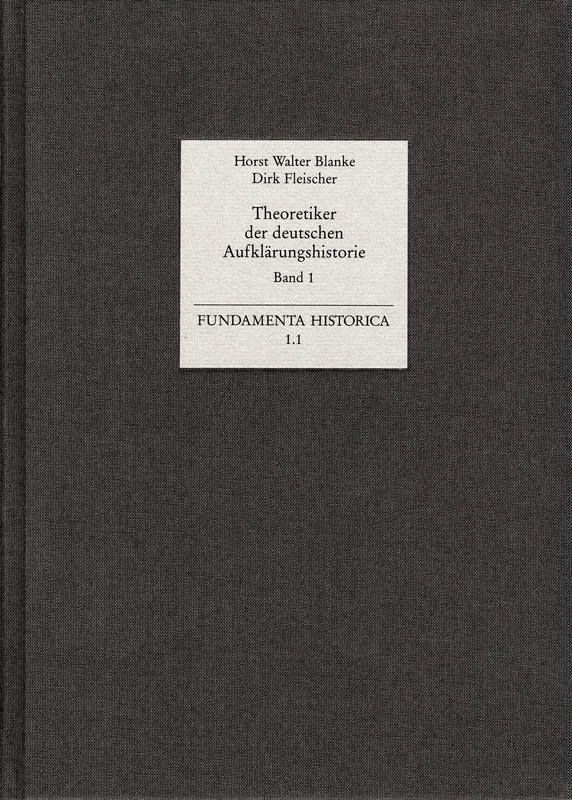 The systematic order of the texts attempts to show the new constitution of history in the Late Enlightenment made up of the various traditions of reflecting on the theory of history, and at the same time to explain the context of the discussion as well as the topics and the solutions to the problems. The introduction to the edition provides an overview of the historiography and the history of the German Enlightenment, thus giving a systematic introduction to the texts and attempting to explain the development and structure of the history of the German Enlightenment. Two appendixes, lists of the professorships of history and of lectures on history document important source material which up to now has hardly been available. Except for necessary editorial standardizations, the texts have been reproduced in accordance with the original publications, but these are not mere productions of the surviving texts. The detailed annotations for example contain literary allusions which are if possible explained. A separate chapter provides an introduction to the life and work of each individual author and compiles the most important primary and secondary literature for the first time. In conclusion, there is a bibliography on the theory of history and the theory of historiography in the Late Enlightenment as well as a detailed index of persons.